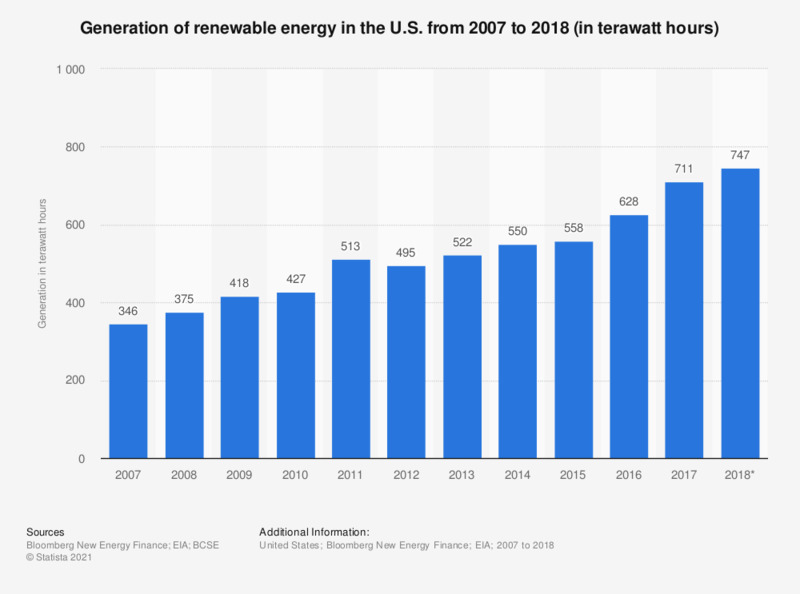 This statistic represents the renewable energy generation (including hydropower) in the United States from 2007 to 2018. In 2018, the United States had generated 747 terawatt hours of renewable energy. In 2014, the generation of non-hydropower renewable energy was larger than hydropower for the first time. Figures were compiled from several editions of this report.